Land For Sale In Jimbaran. LJS001 - Labuan Sait, Pecatu. Land Size: 2.500 sqm, Price: 1,4 Billion IDR per 100sqm. 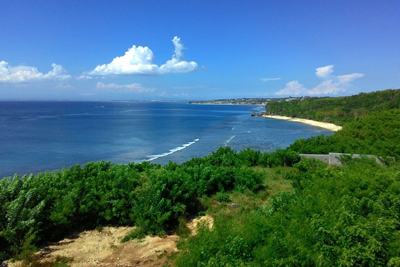 These rare and amazing cliff front piece of land offers views of white sand beach, ocean and stunning sunset views. 2500sqm with nice frontage .	. .